If you clench your teeth or grind them while sleeping, it can cause serious problems. Cracked teeth and a sore jaw are only a few of the issues you could encounter. You might not even know you have bruxism until you see your dentist or doctor. 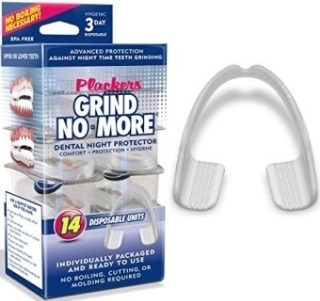 A nighttime mouth guard will help alleviate the issues around teeth grinding. Unfortunately, it won’t stop you from the habit in the middle of the night. Still, you’ll feel a huge relief when using the best mouth guard for teeth grinding. Your jaw won’t be sore. Molars won’t be cracked. Headaches might also be a thing of the past. The night guard you choose for your specific type of grinding and clenching will provide almost immediate relief from pain. What is a Mouth Guard for Nighttime Use? Who Needs a Nighttime Mouth Guard? Nightguards, as they are sometimes known, are guards that surround the teeth. The material is made of a soft plastic that protects the teeth while you’re sleeping. Grinding of teeth or biting while sleeping can cause serious issues. The compulsive grinding of the teeth, called bruxism, can lead to serious issues with the teeth and jaw. There’s a lot of pressure on the teeth while biting or clenching. Grinding can cause the teeth to wear unnaturally, too. The mouth guard doesn’t stop you from grinding. It protects your teeth from the pressure. It’ll protect your teeth from chipping or cracking. The cushion will stop the damage that can happen when your teeth are unprotected. Grinding your teeth at night can cause issues for your partner, too. While you’re sleeping, the sound could be keeping that person from sleeping soundly. A mouth guard can give everyone a good night’s sleep. Dental guards should be free of chemicals and materials that can cause problems. 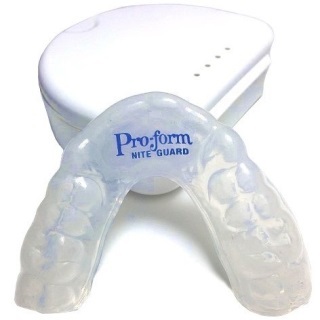 This nighttime mouth guard is free of latex and doesn’t have BPAs in it, either. The dental mouth guard you purchase arrives with an impression kit. There are three trays of various sizes for taking an impression of your teeth. After taking the impression, there’s a card for choosing thickness. You’ll be able to choose the material for this upper guard for teeth grinding. Simply send the impression back to the lab. The custom nighttime guard will be sent back to you within a few weeks. This is a step above the standard mouth guard for teeth grinding. Those can’t be shaped at all. It’s also less expensive than a custom fit from your dentist. You have the choice to get soft, semi-hard, or all hard. Those are options you can choose when sending back the impression of your teeth. The choice of thickness and hardness depend on your needs. It only takes a few minutes to take an impression. The customized night guard takes less than five minutes and will last up to five years. That’s according to the company. It will depend on the material hardness as well as how severe the grinding and clenching is. They have a free replacement policy for the first year after ordering. While the guard is more expensive than moldable guards, it’s worth the price. You’re getting a choice of hardness and thickness of materials. You’re also getting a fit that’s a suitable match for your teeth. In fact, it’s made especially for you and your unique teeth. It’s virtually indistinguishable from the kind you’d receive from your own dentist. The guard takes a few days to loosen up, so you’ll have to give it a day or two before it’s comfortable. This is a dental guard kit that includes the material and instructions to make impressions. The custom-made teeth guard will come in a medium density. This is durable to ensure that heavier grinders and clenchers will get more protection. When purchasing this kit, you’re paying for 3-way shipping, too. The pre-paid envelope is included. Take an impression of your teeth with the easy-to-follow, detailed instructions. Ship the impression back to the company. Receive the completed guard in a few weeks. This is the same process as what you would deal with at your dentist’s office. But, with this, you’re getting a seriously lower price. It gives you the same protection from teeth grinding and jaw clenching. The medium-density materials are safe for long-term use in your mouth. The medical-grade materials are BPA and latex free. It’s the same type of material that you’d expect from your dentist’s office. This is an upper mouth guard that will come in a thickness of .120” or 3 mm. It’s vital that the material used in these kind of dental guards is easy to clean. They should also be body safe. This one is both. It’s made from medical-grade materials that are free of BPAs and latex. They’re also easy to clean with soap. There are nooks and crannies in this kind of mouth guard that need special care. Unlike the boil, moldable guards, these ones are snug around the teeth. That includes crooked areas or spaces. Those will need to be cleaned especially well. It’s great that this upper guard has easy instructions for creating an impression of your teeth. The cost of the guard also includes the mailing back and forth from you to the company’s lab, too. It’s well worth the price and much lower than a comparable guard from your dentist. The thickness of the material was too thick for some people. Make sure you are aware of how thick it actually will be. This is a custom-fit option for sleepers with bruxism. Grinding and clenching can have such a damaging impact on teeth. They need protection. The trays are made specifically for a man or woman to fit their mouth perfectly. That helps with forming a dental impression. 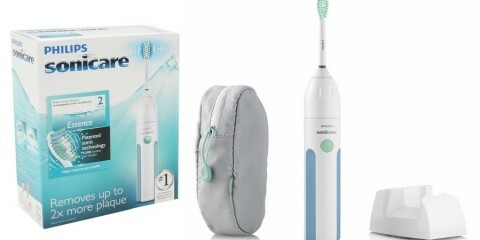 The kit includes everything you need to make an impression of your teeth. It also comes with a return envelope that is pre-paid. From the impression you send back, the lab will make a custom dental guard. This method gives you the best way to have a snug, comfortable fit. Materials used to make this custom-fit guard are made with a hard acrylic exterior. The inner material is a laminate. This is soft enough to be used around your gums while providing a thick layer of protection. It’s 3 mm of material between your upper and lower teeth. When receiving the dental guard, you’ll also receive a case with holes for air flow. The guard should be kept in the case during the day. This ensures that it stays free of dirt and bacteria. There are quite a few things that impressed me about this guard. First, it has two different size trays for men and women. The male’s tray is slightly larger to accommodate a wider jaw. That is a huge help with making the model of your teeth. Second, the pre-paid envelope and return shipping are included with the price of the product. Once you pay the initial cost for the guard, there are no hidden fees. In fact, there are quite a few customers who needed a new kit and received one free of charge. Lastly, the guarantee is a step above some other companies. Any problems with the guard and the company will take back the product and provide a refund. It’s hard to find companies willing to stand that strong behind their products. There is little to criticize with this guard. Some customers didn’t like the taste of the guard due to the materials in your mouth all night. 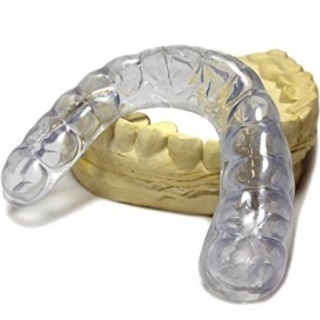 This is another custom-fitted night guard for those who grind their teeth at night. It protects your teeth and prevents pain and tenderness in the joints. This guard is also soft enough to protect crowns and other dental work. It’s also a multi-purpose mouth guard. It can be used for nighttime protection or daytime alignment problems. It comes with an impression kit with easy-to-follow instructions. The mold is for the top and bottom teeth. If your dentist has suggested a guard for both sets of teeth, this is the solution. Once the impression is complete, all you have to do is mail in the molds. On the order sheet, you’ll be able to pick the thickness of the material. It’s available in 2 mm, 2.5 mm, or 3 mm. You’ll also pick the upper or lower guard that you’d like. You can choose to have both, too. There are two material choices to be made, too. There’s a soft material as well as a semi-hard. The soft material is for those who clench their teeth without many symptoms. It’s for light grinders, too. The semi-hard is for those with harsh symptoms who need relief. Both choices are free of latex and BPAs. According to the company, the materials they use are approved by the American Dental Association. The lab is located in the US, too. This gives a higher level of confidence to people who want to support US-based businesses. The company notes that they want to work closely with their customers. It’s unlike going to the dentist. He or she is a professional at taking impressions. The guard company understands that their customers are not. They want fitting issues to be discussed and resolved quickly to ensure satisfaction. They truly have a variety of materials and thicknesses that can resolve all kinds of bruxism symptoms. You might be unsure of the thickness you want. I’d suggest buying a cheap alternative at the store to compare thicknesses. It’ll also help you decide on whether you want an upper or lower mouth guard. If you make a mistake with the initial mold, it costs to get a replacement sent to you. Be sure about the process before starting to make the impression. 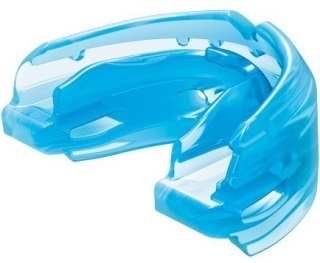 This is a moldable “boil and bite” mouth guard. It has an upper and lower tray for your teeth. The mouth guard has precise instructions on how to mold the guard to the impression of your teeth. It’s important that the mold is done properly. Most moldable guards have one unbroken piece that can only be adjusted as a whole during molding. This one has easy calibration that can be changed as needed. It has a ratchet system for the thermoplastic material. It’ll move the trays any distance from each other to reduce clenching. It’s also ideal for relieving snoring. It can be moved a total of 10 mm. Each increment is 1 mm for a customized fitting. It’s a great fit for anyone with an overbite or underbite. The height at the front of the guard is 1.09 inches and at the rear is .8 inches. The depth of the guard is 1.65 inches and width is 2.63 inches. This is a fairly medium-sized guard. It’s not going to be a problem for most people. This is a good alternative to the more expensive custom options. There is a ton of customization the customer can do to make these fit properly. It’s easy to boil and bite down on the guard to make unique impressions of your teeth. That makes the fit better. Although they’re one piece, there’s a bit of flexibility in the fit. It has the ratchet system on the side that moves the bottom tray. It moves in such small increments that you can really get a custom fit that works with your teeth and jaw alignment. This guard is fantastic for clenching and grinding. It’s also good for those who snore as well. It’s hard to get a good night’s sleep or find a single guard that alleviate multiple issues. 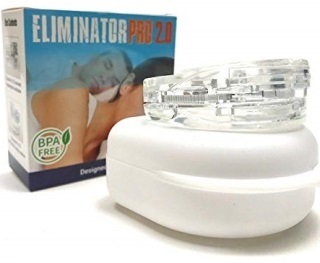 The Eliminator PRO works to eliminate all of those problems. This won’t fit in smaller mouths due to the size of the guard. 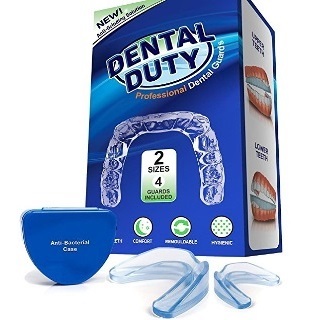 Dental Duty gives two sizes in their dental guard kit. 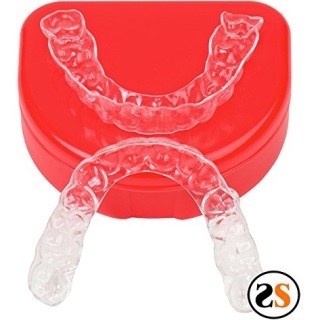 Each size comes with upper and lower trays for a full mouth guard. For those with aggressive grinding, a single tray might not be enough. It’s easy to bite through some thin, single trays. This dental guard can be used for 3 different purposes. It’s definitely good for nighttime jaw and tooth protection. It also has a deep channel around the teeth for whitening. Gel for whitening will surround the teeth and stay in place with the tray. The guards can also be used for sports. It has enough cushioning to be truly protective. The materials are a thermoplastic that will get soft enough for molding when exposed to heat. The instructions are easy to follow. You can easily boil water, let the guard heat up, and mold it to the teeth. If you make a mistake, it’s easy to correct by reheating and reapplying the mold. As far as the substance used in the guard, it’s been approved by the FDA. It’s free of harsh chemicals and bad ingredients. That’s important for a device that will be in your mouth for up to 8 hours. It’s free of BPAs. When purchasing a dental guard for grinding, it has to be thick enough. It has to keep teeth from rubbing. That’s job number one for a mouth guard for teeth grinding. This performs the job very well. The tray can be used for so much more, too. It is an all-around handy device to have. It comes with a case that has antibacterial properties. Cleaning your dental guard should be a top priority. It’s not everything you must do, though. It’s vital that you keep the guard secure. Keeping it free of germs and bacteria is vital for your health. The case is a nice added bonus. Most guards do not come with two sizes like this one. You can test to see which one works better to ensure a good fit. They’re both completely moldable. But it’ll be a better fit to start with a good size. The guard can shrink a bit after heating and molding. That should be kept in mind when getting the impression of your teeth. This is a custom-fit dental guard. It’s advertised as a retainer, but they also function as a guard. Nighttime bruxism is all about clenching and grinding at night. These are thin 1 mm trays that go over the upper and lower teeth. There’s plenty of material layered there for protection. The company offers an upper and a lower tray for molding and sending back to them. If you want two uppers or two lowers, you can send two molds of the upper teeth or lower – depending on what you want. SportingSmiles will send you back the guards you order. Most retainers can’t be used for grinding or clenching in the night. These are double the strength of regular retainers. That’s why they’re able to work so well for bruxism. 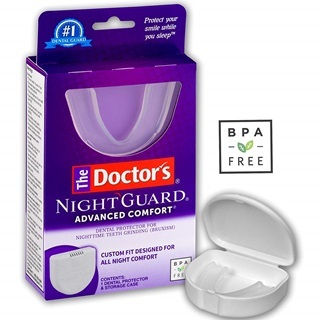 The guard/retainer comes with a custom case for keeping the guard free of germs and bacteria. It comes in a variety of colors. Instead of a set of guards sitting on a dusty nightstand, it can be protected inside a colorful case. It comes in the choice of green, black, red, yellow, white, blue, pink, and light blue. The retainer/guard is 1 mm thin. It’s 2 mm when you add the fact that you have two guards for upper and lower teeth. That’s plenty of material between you and destructive grinding. It’s called a retainer, but it’s 2x stronger than traditional ones. That’s very protective and great for your teeth. The colorful case is one of my favorite features. It comes in 8 color choices. This allows you to color match and keep it in your luggage if you travel. Women can easily keep this in their bag when they’re out for the night, too. The molding process is simple. 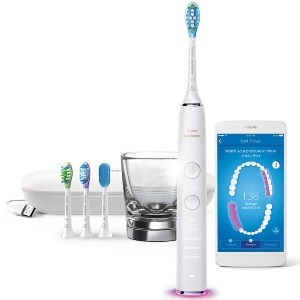 It comes with everything you need to take a clear impression of your teeth. As mentioned, you can easily take two molds of your top teeth to get two guards. The same is true of the bottom teeth. It’ll depend on what makes you more comfortable. These are thin and incredibly flexible, which might not suit everyone. This unique product is a bit different than some of the others. It doesn’t require boiling or impressions. It won’t take days or weeks to get comfortable with this guard. The guard is one size fits all, too. The protector covers only the back teeth. Those are the ones grinding together. The protector curves around the front to stay in place. The guard’s back piece is a bite plate that keeps the guard steady. The alignment grooves in the bite plate are what keeps the protector steady. There are 10 – 14 guards in each kit – depending on the size you choose. Each guard will last a few days. Some people get 3 days out of the guard while others can expect more coverage days. It will depend on the level of your biting and clenching. These are disposable. Once you are done with the current guard, toss it in the trash. Each guard is individually wrapped, so they’re completely sanitary. Once you remove one from it’s wrap, it must be cleaned after each use. It’s important to keep it sanitary when in use, too. These are cost-effective alternatives to a full mouth guard. It might not be for everyone, but it’s such a reasonable cost. It’s worth trying these out to see if they’ll work for you. If bulky mouth guards are too annoying to wear, this is a slim alternative. The setup couldn’t be easier, too. You don’t have to fuss with messy mold materials. It won’t require waiting weeks for the finished product to come, either. There’s no boiling and biting, which can be a pain when done incorrectly. These guards come individually wrapped. One will last for days depending on your level of grinding and clenching. You can use it as long as it stays intact. Once it breaks down, there’s another there waiting for you. It might feel small and unstable for people who are used to a full mouth guard. This custom-fitted night guard is almost identical to a guard you’d get from a dentist. The entire concept was designed by a dental lab and carried out by expert dental technicians. One of the biggest differences between the two types of guards is the price. This one is a fraction of the price. Included in the kit is a tamper-resistant sleeve with all the pieces you need for an impression. Follow the directions to craft a mold that can be sent into the lab. The lab will create the guard based on the impression you’ve sent. The night guard is available in different layer sizes. It can vary between 1 and 3 mm based on your choices. You may also decide to go with hard or soft materials. A dual-layer choice is an option, too. It’s a hard outer shell with a soft interior. That will measure 3 mm. The 2 mm is the hard outer layer and 1 mm is the soft inner layer. After crafting the guard, it’ll be sent back to you at no extra charge. It comes with a case that’s ventilated for proper air flow. They also include a sample of tablets for cleaning the guard. It’s hard to know how heavy a grinder or clencher you are until you buy a guard. The company understands that. They believe that the dual-layer guard is great for most customers. If you break through the dual layer or it cracks within a few months, they’ll help. The company offers to send a single-layer hard night guard as a replacement. They’ll charge half the price of the dual layer. The company’s lab provides a 100% guarantee of satisfaction. When you receive the guard, if you’re not happy with the fit, they’ll make adjustments. You can easily send it back until you’re completely happy and satisfied with the fit. They understand that you’re not a professional taking dental impressions. They’ll help you get it right. The edges might be a bit thicker than expected. A team of dentists worked together to make this nighttime teeth grinding guard. It has a dual layer of material. The soft material on the interior will keep your teeth and gums cushioned and protected. The hard outer shell will help keep your teeth protected and prevent the grinding. The comfortable materials are free of bad ingredients like BPAs. The layers of material will protect from bruxism and should last for months. It’s a “boil and bite” type of guard. That makes the guard easy to form around the teeth. When it’s easy to form, it’ll stop the guard from falling out of the mouth. The front is a patented design that slants to keep the guard away from your lip and gums. A guard that’s too tight or rubs on the gums can create more problems than it solves. This guard has a thoughtful design based on the experience of the dentists who worked on it. The guard will keep you from clenching and grinding your teeth. It’ll do so while being very flexible and soft on your teeth and gums. This won’t be bulky and uncomfortable at night. Some people prefer a hard mouth guard that feels much like an athletic mouth guard. That isn’t always necessary to stop bruxism. This is a semi-hard, flexible guard that won’t feel too wide or big. A guard should be protective, but it can’t be bulky and disrupt your sleep. It can’t be effective if it doesn’t remain in your mouth, either. There’s a delicate balance between a tight guard that’s comfortable and one that keeps you from sleeping. One of the best things about a “boil and bite” guard is the ease of the customization. If you have no experience with this kind of guard, you might make a mistake. Those are easy to fix. All you have to do is reheat the material and try again. The dual layer can be a bit bulky for some users with a smaller-than-average mouth. These type of mouth guards are already formed. They’re made to the standard shape of the teeth as a whole. The standard mouth guard will often be bulky and won’t form around the teeth. They can slip out of the mouth in the night sometimes. That’s not ideal for people who grind their teeth. There will be a lot of mouth and teeth movement in the night. It requires a mouth guard that will be as stationary and secure as possible. This second type of mouth guard is one that can be molded. They’re also called “boil and bite” guards. It’s made of a material that can be heated to become soft. Once it’s soft, the person bites into the mouth guard to get a more custom fit. The thermoplastic of the guard will soften in hot water. The person will bite the guard and use their fingers to form the material snug to the teeth. 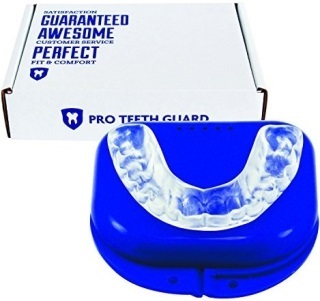 It’s a great alternative to the standard mouth guard while being less expensive than other options. Lastly, there are custom options for protecting your teeth and jaw at night. These are crafted by a dental professional specifically for your teeth. The dentist will make a mold of your teeth. It’ll be an exact duplicate of your mouth. With this, the dental lab will make a mouth guard fitted perfectly to your mouth. These kinds of mouth guards are expensive and take weeks to create. They are made of special materials and require extra time and work in the lab. That’s why there is a bit more money involved compared to other types. Cracked teeth and worn enamel are usually the result of grinding teeth. These things happen during the night. If you wake up with tooth pain, that’s an indication of bruxism. You might not have a partner who can wake you when you’re grinding. The only indication that you’re hurting yourself in the night is the pain in your teeth. Your dentist can help you diagnose bruxism. It might be tough to know whether the wearing of enamel is from grinding. It can also be tough to diagnose the grinding without a sleeping partner to tell you. Those who wake with jaw pain can likely guess that their pain comes from bruxism. The jaw can become sore after hours of clenching associated with the grinding. It might be surprising to learn that people who snore can have a problem with grinding and clenching. The grinding of their teeth causes a clenching in the muscles. The muscles and tissue can collapse in and around the back of the mouth and cause snoring. 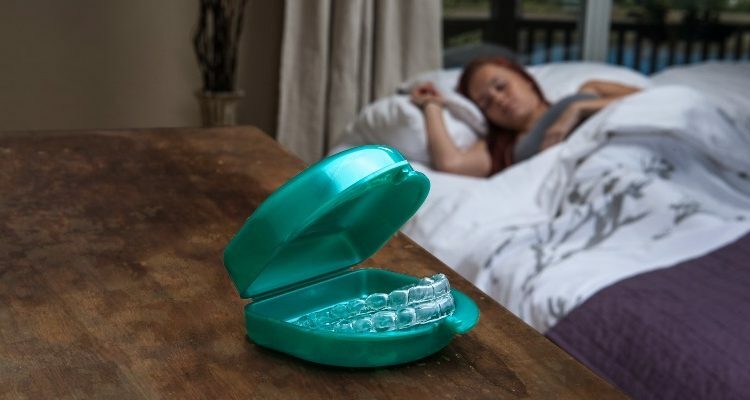 A mouth guard can alleviate snoring and the pain associated with bruxism. It’ll create extra space between the teeth and remove the pain. That can help reduce the amount of snoring. Grinding – This can be heard by your sleeping partner. It’s a difficult thing to diagnose when you sleep alone, though. You’ll have to look at other symptoms to learn when it’s a problem. Damage to the Teeth – The damage the teeth experience can often be the first sign that a person has bruxism. It’s diagnosed by your dentist who will notice a flattening of the teeth. It can cause loose teeth and chips, too. Pain to the Teeth – All that wearing as well as chips in your teeth can cause serious pain. It might not be cavities causing the pain but a result of the grinding at night. Jaw or Facial Pain – The clenching of the jaw can radiate pain throughout the face. The muscles and tendons become strained, which leads to the pain. Headaches – Some people might not have pain except for a headache. They could wake up with it. Sometimes, it’s not diagnosed because a person might be tense. They assume the headache is associated with tension. The nighttime guard has to be made of material that’s thick and rigid. That thickness will stop you from biting through the guard. Over time, you could wear holes and splits in the material. It has to be without dangerous chemicals. BPA and latex are not materials that you want in your mouth all night. Bad materials can lead to sores in the mouth or a sickness. It’s vital that your guard is made without these bad materials. The guard should fit snugly in the mouth without any discomfort. If you have an ill-fitting device, it’ll cause more problems than it fixes. It’s important that you don’t add fit issues to your list of nighttime problems. The thickness of the guard will impact the comfort. It should be slim enough to fit in the mouth without pain. The sides shouldn’t rub against your skin uncomfortably. While it should be slim for comfort, it has to be thick enough to stand up to the grinding. A standard guard will be made of hard materials that won’t fit perfectly around the teeth. On the upside, the guard is the least expensive style that will protect your teeth. One that is moldable is a bit more money, but it’s more customized than the standard devices. It can be boiled and molded around the nooks and crannies of your teeth. 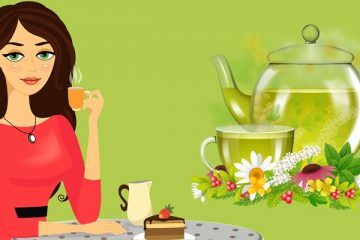 Many people use these kinds as tooth whitening trays during the day, too. 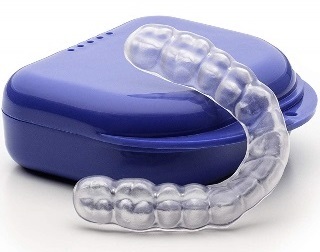 Keep in mind that a whitening tray can’t be used as a guard for bruxism. You don’t need to purchase two coverings for the top and the bottom teeth. You will need to decide between the two. Many people choose to purchase a nighttime guard for the top teeth. You may decide the bottom covering would be more comfortable at night. Before your purchase, try sleeping with a covering on the top or bottom to see which is better. It’s often a matter of personal preference and comfort. The materials used must be approved by the FDA. They are the government body that ensures the public is safe. They’ll give approval to products like mouth guards only when they believe the materials are safe. It’s important that you see a seal or mention of the FDA. Especially for a product that you plan on holding in your mouth all night. It’s easy for hazardous materials to leak into the body directly through the cheeks and throat. The thickness and materials will work together to ensure the durability of the guard. You’ll be clenching and grinding on the mouth guard. It has to be able to withstand the pounds of pressure that the jaw produces. Along with the clenching, it has to be able to withstand your sharp teeth grinding on it. You’ll want a guard that lasts for months. The durability of the guard is something you should consider when making your choice. 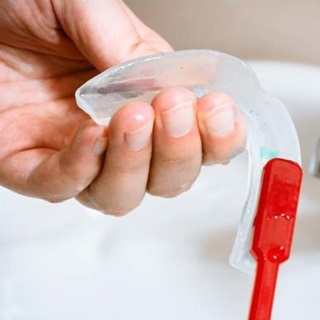 Cleaning the mouth guard should be a simple matter. You don’t want a guard that requires intense care and cleaning with each use. In the morning, you’ll be trying to get ready for work and school. The cleaning of the guard should not take more than a few minutes. If it takes more than a few minutes, it will often be ignored. You can’t ignore the care or cleaning of the device. It’ll end up covered in bacteria, which can make you sick. When you receive your nighttime mouth guard, it should be cleaned before use. Use warm water with soap on the guard. The water should never be hot since that will warp the guard. Rinse it completely to get rid of the soap residue. 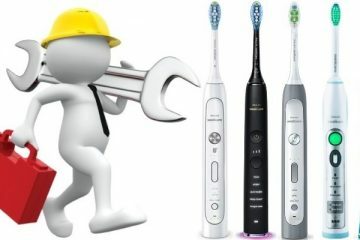 After washing with soap, take a bit of mouthwash and scrub the device with a toothbrush. It should be a toothbrush that’s held aside for this specific purpose. Rinse it thoroughly. Allow the guard to air dry for a time before putting it away. It should be kept in a container with holes to permit air to circulate around it. Some mouth guards might need to be stored in water. Those are made of acrylic. Always check the included instructions to ensure you’re storing it properly. The guard should be kept out of direct sunlight. Hot surfaces and spaces can actually warp nighttime mouth guards. Every few weeks, check the guard to make sure it’s not becoming worn or ripped. You should also monitor the way it fits into your mouth. Over time, it could become loose or ripped. General wear on the guard is expected. As soon as you notice a change in the guard, it’s time for a replacement. You can also bring it with you for your dentist to examine, too. He or she will be able to tell you whether it needs replacing. The use of a mouth guard was introduced in sports. The exact origin is unclear but many believe it started in boxing. That makes sense because the sport involves punching in the face. It’s easy to lose a tooth like that. In the early years, boxers would place strips of cotton, wood, or other materials between their teeth. They would clench it tight, but they would have a hard time focusing on keeping the guard in place while fighting. A British dentist named Woolf Krause crafted one of the first mouth guards for a fighter in 1892. His son, Philip Krause, was credited for making the first reusable guard for fighting. That was in 1921. Other inventors have claimed that they were the first to craft a custom mouthguard. Jacob Marks, Thomas A. Carlos, and E. Allen Franke claimed the first mouthpiece invention. It wasn’t until 1947 that the first dentist made a mouth guard from resin acrylic. It was easier for athletes to use, and allowed for easy talking and wearing. During that time in history, dental injuries were high in sports like football. Over time, mouth guards have become required during all kinds of sport games. They have become standard in sports from hockey to lacrosse to soccer. The ADA promotes the use of mouth guards in all contact or collision sports. They are meant to protect the teeth during impact sports. It’s natural they would be used for overall protection. If they can protect boxers getting punched in the mouth, guards can protect at night, too. 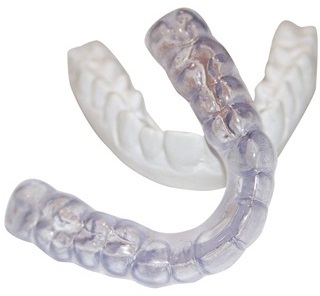 Nighttime mouth guards can definitely be used with braces – if they are created to do so. Most children and adults with braces will find that the normal guards won’t fit inside the tray. You can get a custom-fitted device through your dentist, which costs a lot of money. Or you can get a special guard made specifically for braces. The Shock Doctor Double Strapless worked hand-in-hand with the American Association of Orthodontics to come up with their mouth guard. The company developed a mouth guard made of medical-grade silicone. It’s very comfortable and has an integrated ortho-channel for the braces. It fits securely without being too snug on the braces. It can help relieve the pain of new braces and keep the inside of your mouth from becoming cut on the metal. Overall, this is the best dental mouth guard for nighttime use. The mouth guard for nighttime teeth grinding provides a cushioned barrier. It’s meant to stop you from grinding and clenching. There’s no way to control your involuntary bruxism without a device like a guard. The one you choose should be able to keep your teeth from touching. At the same time, it has to be comfortable or you’ll never sleep soundly. There are many custom-fitted and moldable options that will give you extreme relief. After a few nights with a good mouth guard, you’ll be astonished to learn that you’re more refreshed and well-rested.